This wildlife tapestry "The Wolf" shows the portrait of the face of a wolf at night the work of artist Al Agnew. We see the details of this creature's fur and face, in a stark black background to provide a dramatic scene. Wolves appear in much of Western and Eastern folklore and mythology. They are also notoriously difficult to hunt, and have gained respect as a creature of high intelligence and highly tuned senses. 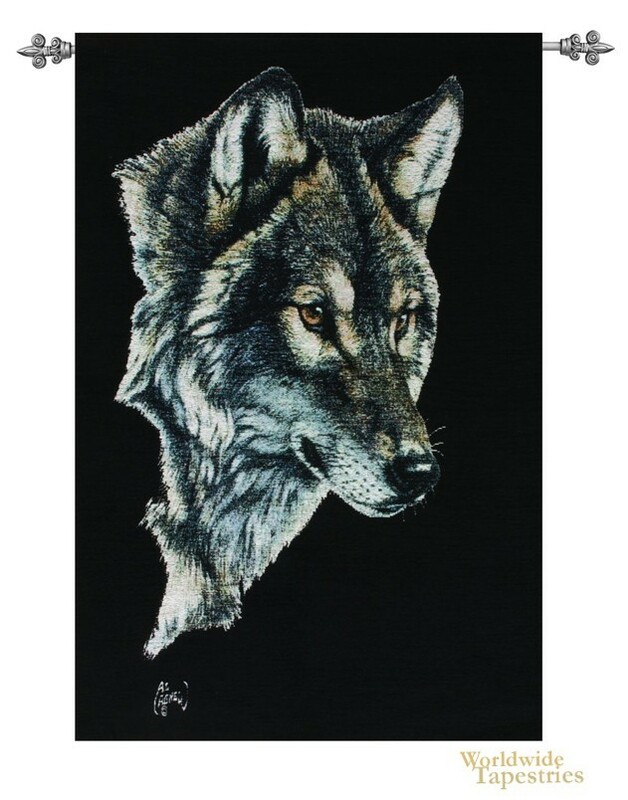 This Wolf tapestry is backed with a lining and has a tunnel for easy hanging. Note: tapestry rod and tassels, where pictured, are purchased separately. Dimensions: W 25" x H 35"